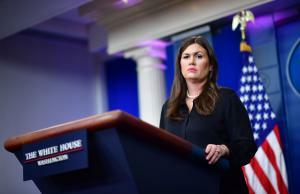 Sept. 25 (UPI) — White House press secretary Sarah Sanders was scheduled to give an on-camera press briefing Monday. 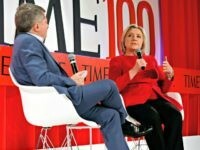 She’s expected to answer questions from reporters at 2 p.m.
Sanders is likely to face questions about President Donald Trump’s new travel ban, which now includes restrictions on travelers from Venezuela, Chad and North Korea, in addition to the five of the six predominantly Muslim countries his second executive order targeted. She also may address Trump’s recent comments and Twitter posts about NFL players who kneel during the playing of the national anthem before games. “If NFL fans refuse to go to games until players stop disrespecting our Flag & Country, you will see change take place fast. Fire or suspend!” Trump said in a tweet Sunday before the games. Prior to Monday’s briefing, Trump had lunch with Vice President Mike Pence. Later in the day, he was scheduled to make remarks about jobs.